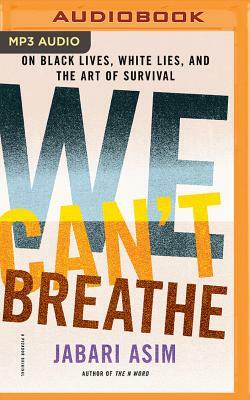 In We Can't Breathe, Jabari Asim disrupts what Toni Morrison has exposed as the "Master Narrative" and replaces it with a story of black survival and persistence through art and community in the face of centuries of racism. In eight wide-ranging and penetrating essays, he explores such topics as the twisted legacy of jokes and falsehoods in black life; the importance of black fathers and community; the significance of black writers and stories; and the beauty and pain of the black body. What emerges is a rich portrait of a community and culture that has resisted, survived, and flourished despite centuries of racism, violence, and trauma. These thought-provoking essays present a different side of American history, one that doesn't depend on a narrative steeped in oppression but rather reveals black voices telling their own stories.